After the completion of 12 films and “ahead of her time” class and maturity, many people would think that Emma Watson is not the young age of 22. 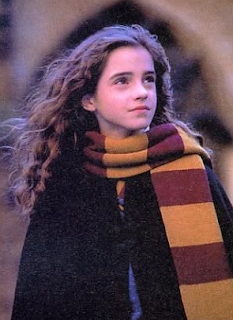 Emma had to step out her element in her traditional elementary school in England at the age of 10 and into the world of Harry Potter, later completing the following eight Harry Potter films. Emma’s stardom continued to grow as the films progressed, yet she maintained class and aimed to stay out of the spotlight. Emma has vowed to keep a normal life as possible and has worked to pursue a college career starting at Brown and eventually heading to Oxford. Emma became the face of Burberry clothing and later the celebrity endorser of Lancome. She is inspiring due to the pure fact that she is able to juggle so many different activities yet maintain her class and self-respect. She not only films movies but also models, attends college, endorses products and attends premieres and events. She is motivation to all of those who feel overwhelmed with work and school and proves that it is possible to juggle a plethora of activities while actively preserving a normal, levelheaded life. Emma Watson in Harry Potter and the Sorcerers Stone. -This site is Emma Watson’s home page. It lists her filmography, biography, fashion and editorial, upcoming projects and even the occasional blurb from Emma talking about her life. -This site is a fan site revolving around Emma Watson and allows for an outside perspective on her personality and life. It includes facts, biographies, interviews and a photo gallery. -This is another fan site completely revolved around Emma Watson. It lists less about her as a person and has more photos and “candid” information available. Nastia Liukin is a famous gymnast that won the all around title at the 2008 Olympic Games in Beijing. I am a gymnast myself, and Nastia was the first gymnast that inspired me in the sport. She was born in Moscow, Russsia to her dad Valeri Liukin and her mom Anna Liukin. Her dad was an Olympic Gold medalist at the 1988 Olympic Games, and her mom was a gold medalist at the 1987 Rhythmic World Championchips. Her parents, knowing how hard gymnastics is on the body and the brain, did not intend on having nastia do gymnastics, but nastia was very good at it and loved it, so she continued in the sport and went on to acheive many gold medals. This is what was inspiring to me, that nobody pushed nastia into doing the sport, she just really wanted to do it. Nastia has her own signiture move on the balance beam, called the Liukin (shown in the picture above). Nastia also has one of the most graceful floor routines, her score comes mostly from the dance elements of her routine rather than the tumbling skills. I really like how graceful nastia is, I am not a graceful gymnast at all, and nastia has helped me want to try and get better at that part of gymnastics. Nastia also has her own line of gymnastics leotards that she helps design with GK Elite Sportswear, i have bought one of her leotards. Although Nastia is an athlete, she is also an artist, as shown in her beautiful dance elements within her routines, and her leotard designs. 2 of Nastia's leotard designs are above. http://en.wikipedia.org/wiki/Nastia_Liukin - this is a link to the Wikipedia page about Nastia Liukin, it shows all of her achievements and tells a lot more about her biography and her career in gymnastics. http://www.youtube.com/watch?v=FoPNGc6Lg8k - this is a link to a youtube video of Nastia's beam routine at the 2008 Olympics. At 1:10 is her signiture skill, the Liukin. http://www.youtube.com/watch?v=b_80QQF-KcU - this is a link to a youtube video of Nastia's floor routine at the 2008 Olympics, showing her amazing and graceful dance. http://www.nastialiukin.com/ - This is a link to Nastia's website that tells about her gymnastics career and many other things she has done, including appearances on TV shows and movies and shows all her sponsors. This would be the best site to get information about Nastia since it is created by people who are in very close relation to her. I am interested in Justin Bieber as an artist because of how far he has come in his career so quickly. His story is very compelling. He started by playing instruments when he was a young child, and moved onto singing a few years later. He was discovered by a man named Scooter Braun after posting a few songs on youtube. He became a youtube sensation and stole many girls hearts. Without any professional training he has come very far. http://www.imdb.com/name/nm3595501/bio This link is a biography of Justin and how he got where he is today. It also explains a little about his family life. http://en.wikipedia.org/wiki/Justin_Bieber This link is also a biography on Justin Bieber, although it goes into detail about his albums he has created and awards he has won. The link above is about Justin and how his life has changed since becoming famous. He has truly changed youtube.